Earnings are Thursday and volatility is guaranteed. 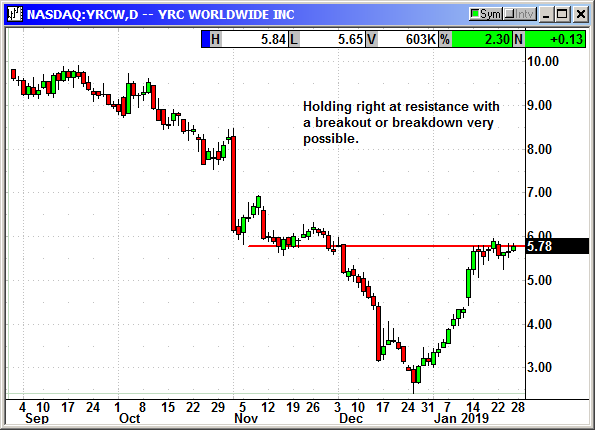 The last several quarters have seen significant volatility after YRCW reported earnings. Buy Feb $6 call, currently 48 cents, no stop loss. Buy Feb $5 put, currently 28 cents, no stop loss.